In 2005 when Canada declined to participate in the US-led Ballistic Missile Defence program there were a number of contributing factors. Concerns over the possibility of the program starting a new arms race, dilution of the already stressed Canadian Forces budget and an inherent feeling among Canadians that working toward peaceful solutions was preferable to technological solutions. A number of prominent scientists also doubted that the system could even be made to work. Fast forward to 2015 and the RCN is in the design stages of the program that will see the construction of new Air Defence/Command and Control Destroyers. Work on those new ships will raise the questions of Ballistic Missile Defence once again. Should the ships be made capable of participating in the Anti-Ballistic Missile battle? In examining radar, combat management and weapons capabilities of the equipment most likely to form the backbone of Canada’s new CSC Air Defence/Command and Control destroyers we notice an interesting pattern. They all have either a demonstrated ABM capability, or are developing one. The third system that may see service on Canada’s new destroyers is the PAAMS system used by France, Italy and the United Kingdom. PAAMS uses the Aster family of missiles, with the Aster 30 having an ABM capability. Eurosam, the manufacturer, is developing an improved Aster 30 Block 2 BMD missile  specifically for the BMD role. So how would Canada ensure that the new ships of the RCN lack such a capability? Obviously, Canada could choose to limit the radar capability of our new ships to prevent their having a capability in the BMD role. The wisdom of artificially limiting the capability of ships still in the design phase is highly questionable though. If the RCN chooses either PAAMS or the SMART-L/APAR options things get more interesting. These systems have no visible physical differences from their BMD capable versions. This would mean that any potential adversary would have to assume the RCN ships were capable. BMD missile capability gives the RCN even less options. Whether we choose the Mk41 launcher supporting the Standard Missile family, or the Sylver launcher supporting Aster, we are faced with the knowledge that only by installing the less-capable and smaller launchers can we forego an ABM capability. Even then, it may not work. Current ABM missiles require the full-sized launchers, but given the importance of the task, this may not remain true. Shorter-ranged missiles may not provide area coverage, but they should prove capable of a point-defence role. Indeed, the SM-6 missile requires a full size, Strike Length, launcher only because of the booster which gives it longer range. Remove the booster and it fits into the Tactical Length launch cell. How much capability against the ballistic missile threat would be retained in the shorter-ranged variant is open to debate, but it would certainly retain some. It is hard to imagine any politician publicly stating that they would support not providing the new vessels with the best capabilities we can provide. 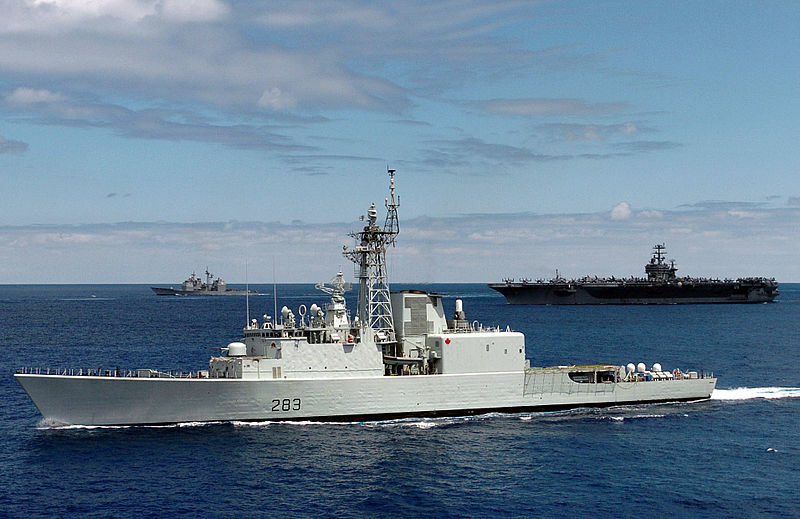 This means that Canada is likely to have vessels capable of the ABM role within 15 years. The capability may be nascent, the ships not having the required modifications to make the system work in that role… but it will exist. Will the RCN’s ABM capability be theoretical or tactical? Russian sabre rattling toward Denmark with the suggestion that including an ABM capability in Danish warships would potentially make them nuclear targets.